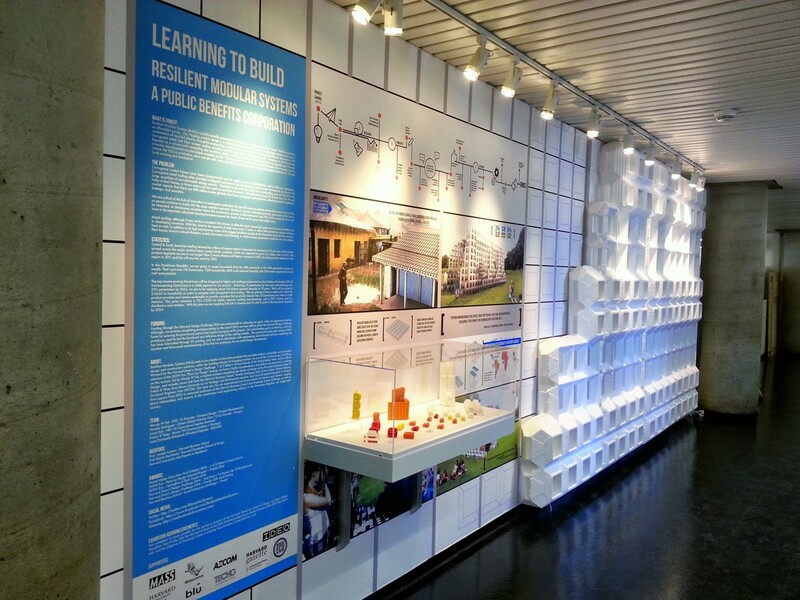 WE-DESIGNS provided the design and development of the exhibition design for Resilient Modular Systems’ exhibition at the Harvard Graduate School of Design. The exhibition was featured for the Spring 2015 show, ramping up to their SXSW Interactive 2015 Finalist for Sustainable Technology. Provided with tight parameters and a low budget, the WE-DESIGNS team worked with Dan Borelli, Director of Exhibitions, at the Harvard Graduate School of Design (GSD) for the production, on-site fabrication, CNC Milling, and execution of the project. Resilient Modular Systems is a Public Benefits Corp, and leader in innovative sustainable modular components for the building industry in emerging markets.